Kwikul was designed to be intuitive, flexible and scalable. We have a reputation for being nimble and adapting to clients’ needs with speed, accuracy and cost-effectiveness. Thank you for your interest. A member of our team will get back to you shortly. Kwikul™ is a scalable and configurable cloud platform designed with flexibility to support several types of award management events, from scholarship evaluation and job promotion to competition management. Kwikul provides an organized and customized environment for participants and administrators. Increase efficiency with easy integration to your other internal systems. 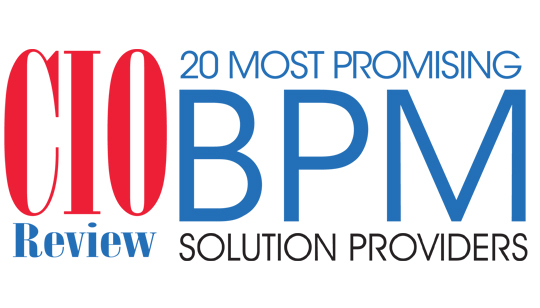 First Preston HT Recognized Among 20 Most Promising BPM Solution Providers 2016 by CIOReview. First Preston HT takes complex situations and simplifies them while focusing on client goals. Our technology-based solutions and services enable real-time exchange of information and automation of business processes. Kwikul’s highly configurable platform extends your marketing presence and supports how you want to structure your event. The founders of First Preston HT (FPHT) are known for their entrepreneurial success and philanthropy. Our company culture is based on innovation and a shared determination to continuously look for new and better ways to solve our client’s problems. FPHT’s highly qualified and experienced personnel have established scalable technologies and best practices that allow us to be cutting-edge innovators. We have a reputation for solving complex issues and adapting our solutions to real-world scenarios. Our success is driven by your passion and together we've improved the competition and award management landscape. Just a note to thank you again for the outstanding product and support you provided for our 2017 Entrepreneur of Excellence Awards. The congratulation calls and emails literally “poured in” for days after the event and we are already looking for next year’s venue capable of holding 800 attendees (twice the number). This tremendous success was in large part due to your extraordinary efforts in supporting our judging process. From start to finish the entire process of working with Kwikul was exceptional … It provided our judges an easy, streamlined, and efficient way to effectively score and rate many different business ventures across multiple flights, rounds and days … I was able to get real time updates … which was instrumental in ensuring the competition progressed in a smooth and timely manner. Without Kwikul, our competition would not have been the resounding success that it was. Kwikul provides tremendous value in the design of innovative products that match your needs. We are happy to answer any questions you have or schedule a demo. Thank you for your request. A member of our team will get back to you shortly. Copyright © 2017 First Preston HT. All Rights Reserved.